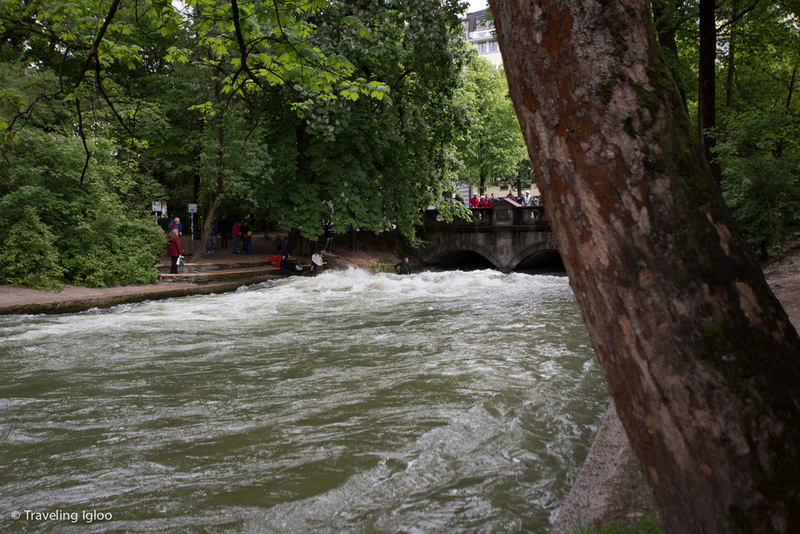 I was in Munich a few months ago and before we left had been reading up on the English Garden (englischer garten). Along with being larger than Central Park, the English Garden also has many beer gardens and surfing as well. When I was reading through the information I had to do a double take to make sure I read it correctly. Sure enough, there's a river flowing through the park and a wake has been created which is set up perfectly for a surfer wanting to catch a few waves in the city. I grabbed some photos and video of people lined up to take their turn. If you're in Munich it's a pretty cool sight to see.